One of my favorite things about the telecom industry is the clear terminology we use. Muggles can hardly determine the topic when overhearing our conversations at crowded restaurants. For example, VAR, drop, POTs, DTMF, call forking, SIP, and many more terms make telecom a second language. We use casual terms as if everyone agrees on definition – but realistically very few do (a language of one). Terms such as unified communications, PBX, HD, channel, are frequently used, yet there’s little agreement on exact meaning. Of course, that doesn’t make the terms any less popular – slight literary confusion and disorientation are the marks of a telecom professional. Today’s word of the day is BRANCH – as in branch office. The classical branch office is a bank branch. We think of a small friendly office connected via wide area network connections to some mega HQ operation. Pretty simple, a small neighborhood branch is rarely confused with a world headquarters location in a downtown skyscraper. Can a branch be in a skyscraper? 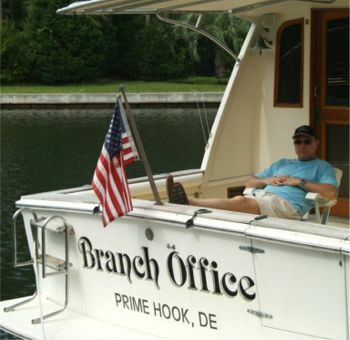 Can a branch be a headquarters location? Can a branch have local servers? Can a branch have a local phone system? Can a branch operate out of a Starbucks or home office? Can a branch have a data center? Can a branch serve as a technical hub for other branches? Can a branch have 500 employees? Does a branch require local employees? Well the beauty of telecom is none of these questions get a definitive answer. Part of the confusion is the word “branch” itself is not exclusively used in technical terms – that is a sales branch or retail branch may be different than what is implied by a technical branch. Technically speaking, a branch is more about the data center (or lack thereof) than anything to do with business role, business size, or business location.For a branch to stay in operation it requires a reliable connection to the data center or at a minimum a means to work offline. What further complicates the matter is more and more mega headquarters have the data center off-site; that is headquarters might be a branch. We are used to headquarters and the data center being in the same location – but that model is falling fast. Once the data center is designed for data and UC services – with HA and DR – it makes sense to roll out critical services to the other branches in the same way. Many UC vendors are offering some form of a survivable branch gateway that normally plays a passive role, but should the WAN fail, it directs calls to the PSTN via local standby trunks. The trick to minimize changes in operational procedures and minimize equipment and circuits at the local branch. Most of these branch solutions can failover to analog trunks for voice – which requires a gateway function if using a VoIP hard or soft endpoint. Either because of size or the type of business activities at the branch – the Venti DR Strategy may make the most economic sense. Here, staff are instructed to fail over to the nearest Starbucks as the business continuity plan. The term Venti (20 in Italian) obviously refers to the theoretical maximum number of employees this approach can service. Now for advanced users, we can take this up another level – the virtual data center. In this case, there is no data center. A business that relies heavily on cells, a cloud based CRM, public IM services, and cloud based business apps such as Google Apps or Office 365 may require little more than an Internet connection – and homes, offices, and headquarters are all more or less the same. All sites are a branch – or none are depending on perspective. Though mission critical environments may require an HA solution for Internet access (multiple carriers and paths). That’s it for branch – tune in next week for a definitive distinction between a contact center and call center.